Full blown House selection from Ibadan! Jerome Sydenham starts off the year with a fabulous remix of the underground classic Mbali by Motorcitysoul. Sydenham makes an ambitious attempt to redefine the phrase Happy and uplifting House. This, however, is not a gospel track. But instead is filled with lush cords and steady grooves. This is the kind of tune that really gets the party started. 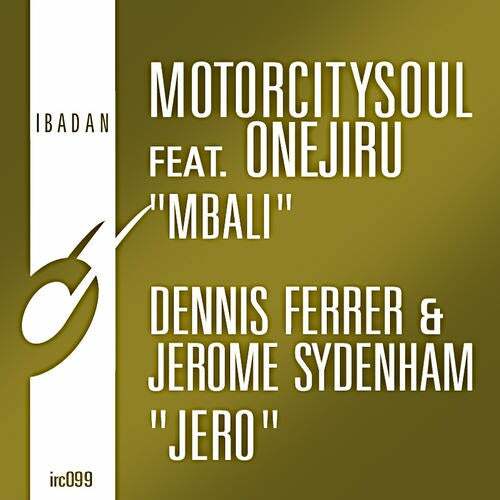 The monster duo of Dennis Ferrer and Jerome Sydenham strike again at the core of house music. In this adrenaline fuel house epic you have Sydenham on the beats and Ferrer on the vocal chants. This one will be hard to resist even for Techno heads. Anthony Collins presents a new beautiful deep piano track with some funky rhythms grooving alongside. Jerome Sydenham embellishes this track with a deep club mix. Mood Swing, Da Capo, R.B.T.